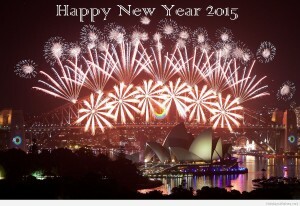 Welcome to 2015! Woo Hoo. Well 2014 throughout Australia and indeed the world saw youth work under the pump. In Australia we saw funding and service provision cuts to deplorable standards making many youth workers question if they are in the right industry. In the UK we saw the Early Day Motion 488 and the debate on statutory youth services funding come to the fore. In the US the debate of where youth work fits in informal education versus standard education is still bubbling away with not much in the way of resolution in sight. These are just a few of the issues which are happening the world over. 2014 was hard. 2015 brings with it some hope. In Victoria where we are based a new state government has come to power which historically has supported youth work and young people. At Ultimate Youth Worker we are seeing a real collegiate push from academia to cement youth work as a profession coming not just in the form of a few journal articles but clear steps of sustainable development. We are also seeing more qualified and passionate youth workers coming into the sector who are willing and able to challenge the status quo than we have seen in years. These are truly exciting times to be a youth worker. 2015 is going to be an interesting year for Ultimate Youth Worker as well. We will continue to provide our supervision service and our Employee Assistance Program as we have for the last two years. We will continue our blog posts however it looks like we might be doing it a little less frequently. Our podcast which has been an on again off again project will relaunch in March. We are also composing some training videos which we hope to have on the website and on youtube for you all to use as you want. We are also looking at opportunities to provide more online training opportunities including webinars for you to access affordable training. We are currently looking to provide direct service to young people in 2015 through some tender opportunities which have come up. Finally, we will be providing a course in basic drug and alcohol for anyone who wants to productively help young people work through their struggles. If there is any way we can support you personally or perhaps your organisation contact us to discuss what we can do for you. We wish you a bumper 2015 and a year of care and continuing success. Posted in Future and tagged Youth Work.